How to understand and apply logic – eg Can God make a stone He cant lift? Epicurean paradox and The problem of Evil. – If God is good, why is there Evil? Euthyphro dilemma. – Is good loved by God because it is good, or is it good because it is loved by God? One of the great advantages of “Shield of the Believer” is that it explains the concepts and tricky language which so often prevents people from benefiting from the discussions around the existence of God, allowing the reader to not only improve their ability to critically analyse atheist arguments, but in fact any argument. 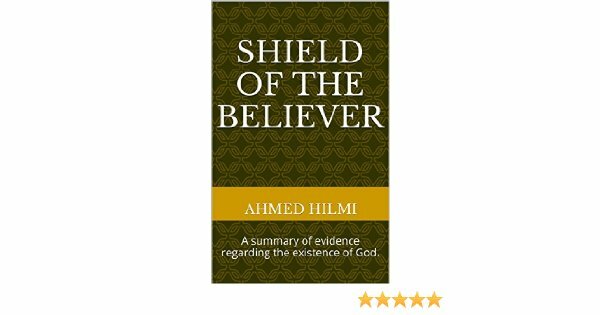 Click here to Buy a copy of Shield of the Believer: A summary of evidence regarding the existence of God. If you have any comments or questions please feel free to add them using the comments box below, or using the contact page form located here.